Whether you have a leaky, frozen or broken pipe, a sink or toilet overflow, a malfunctioning water heater, dishwasher, or washing machine, serious flooding from storms and wind, or mold damage in your structure, our highly experienced team can clean the area and mitigate the damage. With our 10 years of experience in cleaning homes and businesses with major and minor flood damage or mold damage, we can offer the best water damage restoration and mold removal in Brooklyn at very affordable rates. 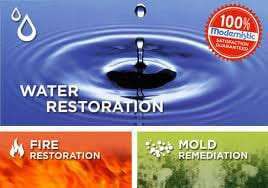 Call today 24/7 to have your flood damage or mold damage removed. What Makes Us The Best At Handling NYC Water Damage and NYC Mold Damage? We are a fully insured and licensed agency in Brooklyn operating for over a decade. Most important, we are member of IICRC (Institute of Inspection, Cleaning and Restoration Certification) which differentiates us from other restoration agencies. Unlike most of the cleaning and restoration companies in Brooklyn and NYC, we actively participate in seminars, courses and training that are conducted to upgrade our skills and ultimately offer the best service. Our potential to serve both residential and commercial clients in Brooklyn and New York City such as churches, hotels, resorts, medical facilities, hospitals along with educational institutions, business and manufacturing companies, and transportation providers differentiates from other mediocre cleaning company. Our water cleanup team is highly skilled and experienced in using cutting-edge techniques and state-of-the-art equipment to bring your home or office back to the original, intended use as quickly and cost-effectively as possible. Winter can be the most devastating time of year for water damage. When temperatures drop well below freezing pipes will often freeze and expand until they burst. Homes that are left vacant with no regulating of heat or poorly insulated walls can be a common culprit of frozen water pipes and frozen water lines in the winter time. Broken pipes are a common cause of water damage. A pipe burst in your attic can cause gallons of water to come rushing down into your living rooms, bedrooms, kitchen, and bathrooms. A broken or frozen pipe burst in a basement can often go unnoticed. Sprinkler pipe burst often goes unnoticed until the water comes rushing through the window wells and walls. Strictly Cleaning Restoration has a 100% satisfaction guarantee, 100% guarantee that their mold remediation process will ensure mold is fully cleaned to inspection standards of an independent testing company, will be done at the property owners expense, air sample, and clearance testing must be completed within 48 hours of completion of remediation. If an air quality test results in a positive reading Strictly Cleaning Restoration will return at no cost to the owner and correct any areas that need to be treated. As long as the positive reading is not a result of a new water seepage or underlining issue not disclosed prior. After 48 hours of mold remediation Strictly Cleaning Restoration will not be held responsible. Strictly Cleaning Restoration Services is a certified by the Institute of Inspection Cleaning and Restoration Certification, Inc. (IICRC) to perform mold remediation and other building cleaning remedies. The IICRC is a certification and standard-setting non-profit organization which oversees the inspection. Cleaning and restoration industries. Strictly Cleaning Restoration Services is licensed in NYS (New York State) Department of Labor since 2016. NYS Department of Labor Licenses has been newly established License which is a requirement for all mold remediation companies in New York. Even after the visible water is extracted, building materials and some walls still may contain some amount of moisture. Our experts will make sure that all the structures affected by the moisture are dried and that basements, attics, and craw. Removing the excess moisture from any water damaged area is the first step of the water restoration process. We provide water cleanup and removal and also handle the repairs. During mold inspection, mold testing technicians will check your home for an attic, crawlspace, and basement mold damage as well as any other areas with visible mold to determine the source of the problem as well as identify, measure, and track hidden moisture and mold. Strictly specializes in finding and removing attic mold damage, basement mold damage and any other type of growth you may have hiding in your house. Our highly experienced mold removal experts understand that mold will only get worse and spread throughout your house the longer it sits. It will contaminate your rooms which might lead to asthma or allergies. During mold cleanup and mold removal, our specialists will identify the source of the mold, treat the infested area, and use treatment to prevent further growth. 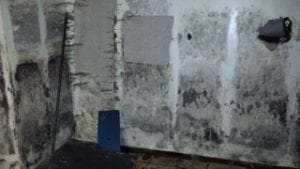 If you are looking for the best mold remediation company that works to the highest standard of cleanliness, let us be your choice for mold damage cleanup removal. Schedule an appointment, or call our 24-hour hotline and speak to an experienced mold removal specialist. When you see mold growing inside your home, call Strictly Mold Cleanup in Brooklyn NY for mold damage repairs. With any water damage in New York City, it is necessary to analyze and assess the building materials and contents that are being affected by the moisture and then only we develop specific water removal and cleanup process. Our Brooklyn Water Damage Cleanup specialists employ trained personnel and special equipment that can evaluate flood damage and can identify all the problem areas that are retaining the moisture. Most often during a water loss situation, there are more materials that are wet than appear to be. Even if you feel the flood damage is small or isolated, it should be evaluated by a flood damage restoration professional. Our water damage Brooklyn NY team is ready to help you with all your damage needs. Flooded basements and crawlspaces present more challenges. Hidden moisture can lead to mold and mildew that can pervade and ruin stored contents and valuables. We will detect and remove the water in your basement quickly and completely. Do not wait to call if you have basement water damage. If your hardwood floors are affected by the flood damage, without a doubt it will have absorbed a lot of moisture. We have the proper equipment to extract that moisture from your hardwood floors. We are a Brooklyn and NYC water damage company helping customers with their broken and frozen pipe water damage, flooded basement and much more. If you are experiencing water damage in NYC or have had NYC flood damage to your home, call us today for a no cost, no obligation quote on how we can help you get back to normal. Dial 347-672-7860 or email us at jhidalgo@strictlyrestoration.com. Providing Brooklyn, Brooklyn Heights, and New York City water damage services in 11201 11202 11203 11204 11205 11206 11207 11208 11209 11210 11211 11212 11213 11214 11215 11216 11217 11218 11219 11220 11221 11222 11223 11224 11225 11226 11228 11229 11230 11231 11232 11233 11234 11235 11236 11237 11238 11239 11241 11242 11243 11245 11247 11249 11251 11252 11256. Click here to see other areas we service. Would you like to get $200.00 OFF any job. Refer a new customer to us and walk away with a discount today. * The new customer must retain our service for this to be a valid offer.